Contact Florida Cruise Passanger Injury Attorney Gerson & Schwartz, P.A. In the period between 2011 and July 2013, some 959 serious incidents were reported to the FBI by cruise lines. Cruise lines are required to report such incidents involving Americans. These “serious” incidents include murder, deaths under suspicious circumstances, assaults with injury, thefts of cash that exceed $10,000 and sexual assaults. There are no police on a cruise ship. At least 55 cruise ships have sunk since 1979. Thousands of injuries occur every year on cruise ships. Your cruise ticket may have limits that expressly restrict how long you have to recover compensation for your injuries. What Does This Mean to me as a Cruise Passenger? Forewarned is forearmed. Do your research before you choose a cruise line. All of the major American cruise lines have websites that display a number of statistics for their companies. Do your due diligence. You are paying thousands of dollars for your vacation so make sure the company you choose meets your expectation. Seek whatever medical attention you need. Either seek medical attention yourself or have another passenger summon a qualified member of the crew to provide the care you need. Get to a safe place, either under your own power or with help from fellow passengers or crew. Once you are medically stable and safe, give the details of the incident to either the ship’s security or safety officer. Make sure you receive a copy of the report once it is completed. Be thorough, detached and do not place blame. Take photographs of the area where the accident happened. Pay special attention to the floor surfaces, signage, lighting and the conditions that might have contributed to the accident. Make a witness list of everyone who witnessed the accident. Try to obtain names, home addresses and email addresses. Include crew members in this list if possible. Also make note of who provided any first aid or medical attention from the crew. Take photographs of your injuries. Depending on the length of your cruise, it may several days or weeks before you are back home. Even serious injuries can fade from obvious view as enough time passes. Pay attention to any cuts, bruises and swelling. Use a common object to give scale to the injury, if possible. Get whatever follow up medical care is necessary when you arrive back home. If you feel as though the cruise line did not do enough to prevent your injury, see a qualified maritime attorney as soon as possible. Your average personal injury attorney does not have the expertise to take on the cruise industry under the complex rules of maritime law and, in fact, most will not accept maritime cases due to the complexity of the law and their lack of expertise. The attorneys of Gerson & Schwartz, P.A. 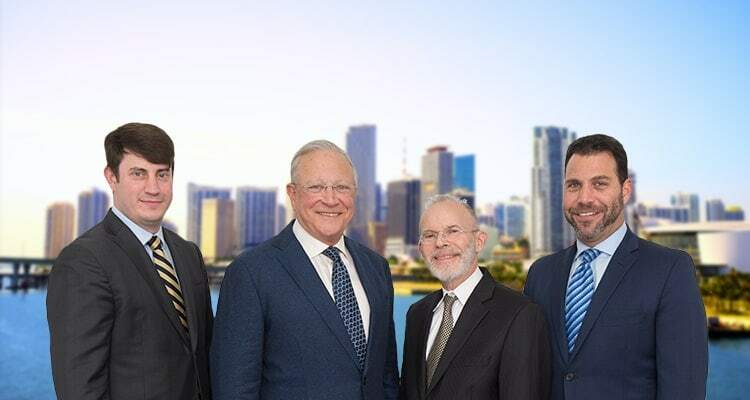 have over 40 years experience representing clients in just these types of maritime injury cases in Broward and Miami-Dade counties. We have the knowledge and skills to get you the results you deserve. Please call us at (877) 475-2905 to set up your free consultation today to ensure that your rights are protected. What Should You do After a Cruise Ship Accident? What are Your Rights After a Tender Boat Accident on a Cruise From Miami?